Hi. 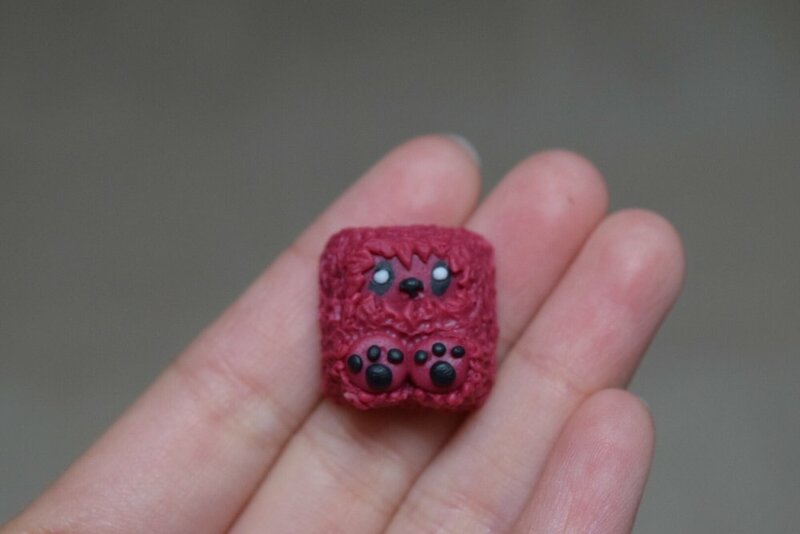 I’m Tiny and I make keycaps for mechanical keyboards. I make custom caps (from clay). I also make original caps that I designed (from resin). I wanted to combine my love for keyboards and also my passion for creating things. And that's how I started making keycaps. Maybe in the future I will make things outside of the keyboard hobby, but for now, keycaps! You can find me broadcasting my creative process over at Twitch most nights. I go to keyboard meetups and other conventions as well! Where you can find me next! Newsletter signup! Sale updates & more!